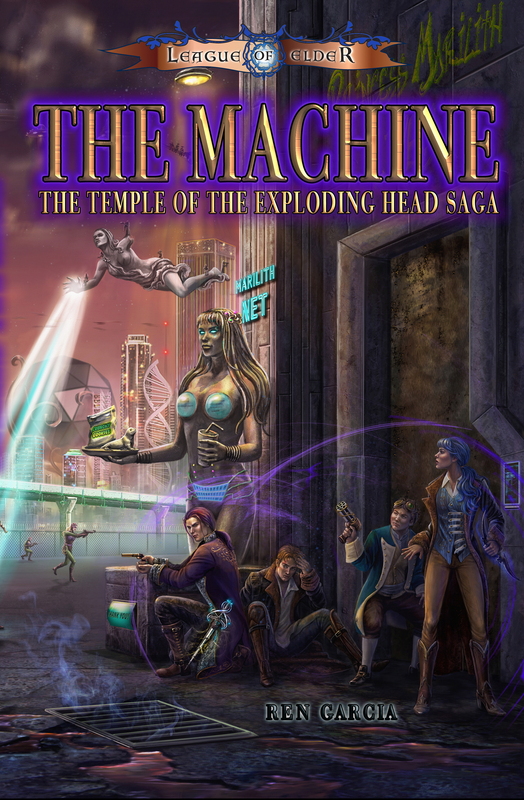 The second book in the Temple of the Exploding Head Trilogy is finally here!! Lord Kabyl of Blanchefort, his cousins Sarah and Phillip and their friend Lord Lon of Probert quest to recover the three pieces of a fabled machine lost for centuries: The Oberphilliax. Their quest will take them beyond the safety of the League to the Xaphan city of Waam where an ancient Black Hat and her vile army of Spectre henchmen await their arrival with great anticipation. The Machine sees Kay and his cousins visit distant Xandarr where he is confronted by the manifestations of his three Gifts: Waft, Cloak and Sight. Each will test him to his limits and if he falters for even a moment, he will die. And, if he manages to survive that, then there’s the city of Rostov where death is a roll of the dice away, Dee, with the creature lurking in the water and Waam with its Black Hats and roving army of Spectres. To be a Shadow tech Male in Waam is to be hunted and killed without question … and Kay is a Shadow tech Male. The chase is on. 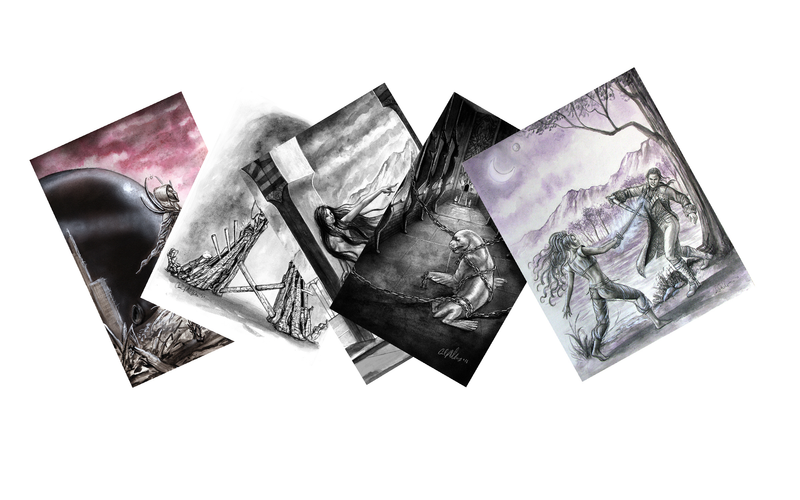 The book features cover art by Carol Phillips, and is lavishly illustrated with over 25 full page maps and drawings by Carol Phillips, Fantasio and Eve Ventrue.